Rapture Miss gave Kerrin McEvoy the second of three wins for the day in Rosehill’s Country Classic. 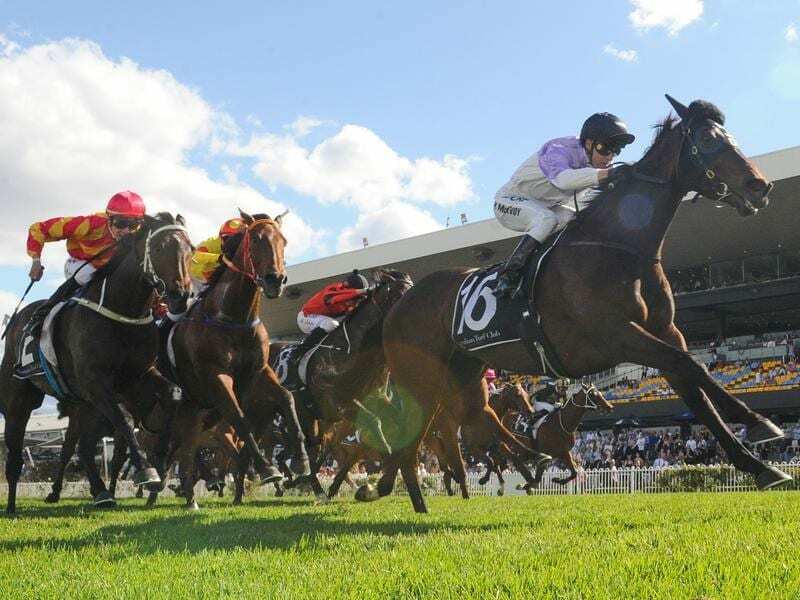 Rapture Miss has shown the benefit of life on the beach to win the Country Classic at Rosehill. Trainer Matt Dale operates a satellite stable at Moruya on the NSW south coast in addition to his main base at Canberra. He decided Rapture Miss was better off at Moruya because she was highly strung and had some barrier problems. The five-year-old has staved off retirement with her recent form which includes three wins and a second from her past six starts. She started the $4.40 favourite in Saturday’s Country Classic (2000m) and gave supporters little cause to worry, travelling sweetly for Kerrin McEvoy before drawing away to beat Charlie Royale ($51) by 1-1/4 lengths. McEvoy, who won the race a year ago on Miss Dubois, said Rapture Miss’ win was relatively comfortable. “It looked the race to try and be a little bit positive and get out of the rough if you can and she got into a nice spot,” McEvoy said. It was the second of three wins on the day for McEvoy who substituted for the suspended Jason Collett on the Clare Cunningham-trained Cradle Mountain and also won on Napolean Solo for Peter and Paul Snowden. Cradle Mountain’s win was his sixth from nine starts but McEvoy admitted he was only warming the seat for Cunningham’s partner Collett. “It’s nice to get the job done for Clare and her young burgeoning stable. She’s doing a great job,” he said. Napolean Solo ‘s 1500m-win came after his victory over 1400 last start and Peter Snowden has a high opinion of the colt. “He’ll have a break now and we’ll get him ready for the late autumn,” he said.